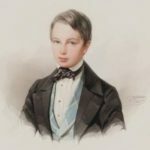 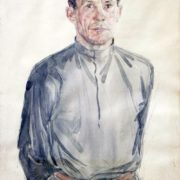 His teachers were famous artists: sculptor S.M. 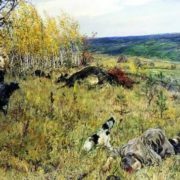 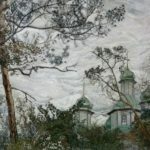 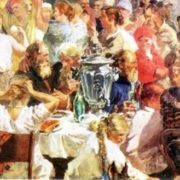 Volnukhin, painters A.M. Korin, A.M. Vasnetsov, A.E. 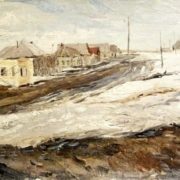 Arkhipov, A.S. Stepanov, L.O. 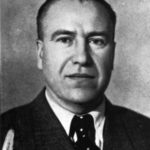 Pasternak. 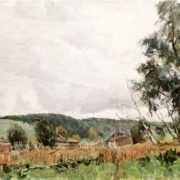 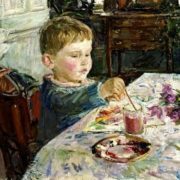 In 1917 he returned to his native village, where he began painting. 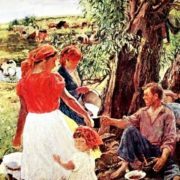 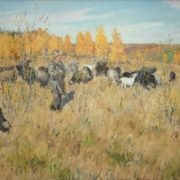 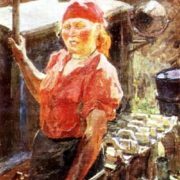 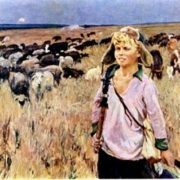 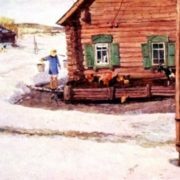 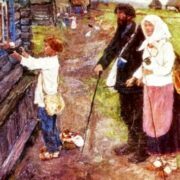 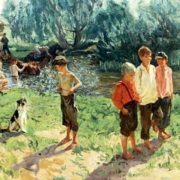 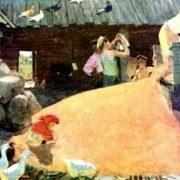 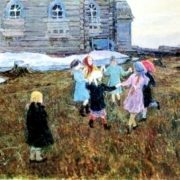 Plastov painted his village, his fellow villagers – milkmaids, shepherds, old-timers who remembered their lives on a bench in the evening. 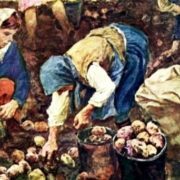 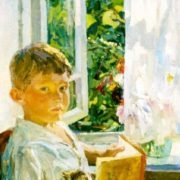 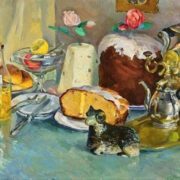 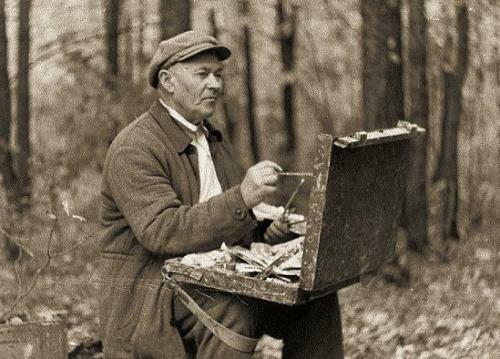 At the autumn exhibition in 1935 in Moscow, several small paintings of Plastov were shown. 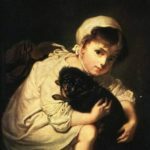 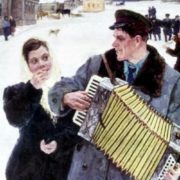 They immediately attracted the attention of the public with their uniqueness and truthfulness. 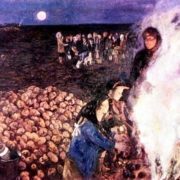 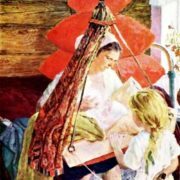 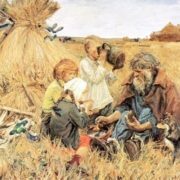 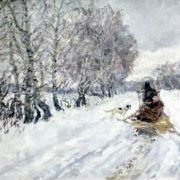 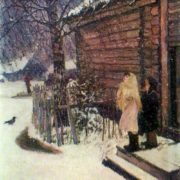 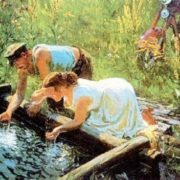 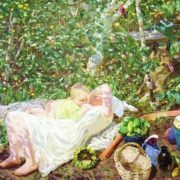 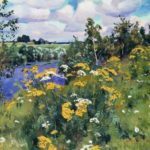 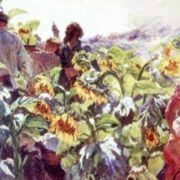 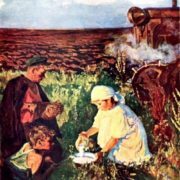 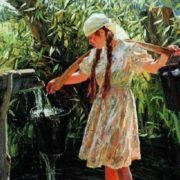 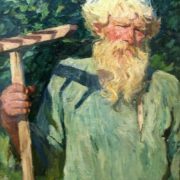 Person’s connection with nature is very characteristic for Plastov’s paintings. 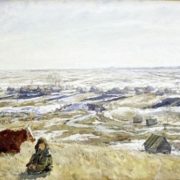 Landscapes in his paintings help to understand the world of working people. 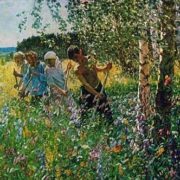 He seldom depicts noisy festivities and his characters are almost always busy with their usual work. 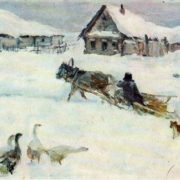 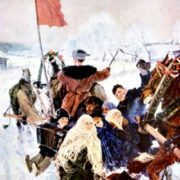 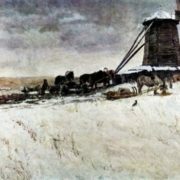 The picturesque chronicle of Prislonikha village, created by Plastov, is closely connected with the life of the vast country. 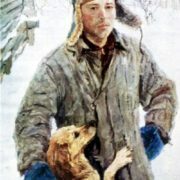 Arkadiy Plastov died on May 12, 1972 in his native village Prislonikha. 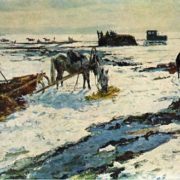 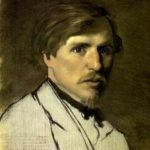 Plastov’s works are kept in many museums in Russia.